When you are in need of car service in Lyndhurst, you can trust the car mechanic at Singh’s Tyre and Auto Centre. 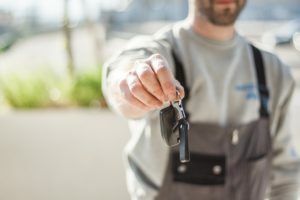 We hold 13 years of experience in the automotive industry and have been serving the drivers of Lyndhurst and the surrounding suburbs with their car repairs and maintenance needs. As a licensed vehicle tester, we can inspect all the safely components of your vehicle and issue the roadworthy certificate if it complies with the safety standards set by VicRoads. If your vehicle is covered under manufacturer’s warranty, you can count on our team for log book service. Our authorised mechanics service your vehicle using original parts as per the factory guidelines and help keeping the warranty intact. At Singh’s Tyre and Auto Centre, we have the best technicians who are trained to work on car’s air conditioning units of all makes and models. From emergency aircon repairs to aircon regas and full leak test, we handle it all to the industry standard. No matter what size or type of tyres your vehicle needs, you will find the right set of tyres for sale at the right price at Singh’s Tyre and Auto Centre. In addition, we can also handle flat tyre repairs, tyre rotation, tyre balancing, tyre mounting and tyre fitting jobs in an efficient manner. If your vehicle is struggling for power or you are jump starting your vehicle every morning, then it could be the time for having car battery replacement. Our mechanics will choose the right battery for your vehicle and get it fixed quickly. Your vehicle’s wheel alignment should be checked on an annual basis. Using the latest four wheel laser alignment equipment, our mechanics will ensure that the wheels are aligned to the optimum position in compliance with the manufacturer’s specifications. For a full car service in Lyndhurst, feel free to call us now at (03) 9544 8854.